Son of Adam describes the rules by which every game should be played. Hello all. Son of Adam from MasterCraft Gaming here again with another article on fundamentals; the three spheres of game strategy. 3. The art of war(hammer), then, is governed by three constant factors, to be taken into account in one’s deliberations when seeking to determine the methods for victory. 4. These are: (1) List building; (2) Deployment; (3) Method and game play. 5. List building is the art of predicting what pieces your will need in order to take the victory conditions from your opponent. 6. Deployment prepares the army you have taken to achieve the victory conditions, and to disrupt your opponent from doing so. 7. Method and game play comprises of the strategy, both micro and macro, that bring your plan into effect to achieve the victory conditions. 8. Not one of these spheres is more important than any other. Success is found with their cooperation. None of these rules are absent from the first two. Again these may seem a little basic, but they are fundamentals after all. They will become the language and framework with which we will learn how to better discuss and learn the game. Let’s check them out individually. Rule #5; list building. Sometimes you can nearly win or loose depending on your list. What you bring to the table versus what your opponent brings to the table in light of the given victory conditions for the mission being played really sets up how the rest of the game will be played. List building is important, but poor deployment and gameplay can keep you from victory. Don’t ignore the other spheres! When approaching this we first have to remember rule number one. How do we plan an army based on achieving the victory conditions? Well there are a couple of things to consider. First what is the setting of your tournament/game? That is, finding out the points level, mission types being played, any key changes to the rules that would change what in an army is appropriate to achieving those victory conditions, what you can expect other armies to look like, and what kind of terrain to expect (amount/type). Second, how will your army, with its separate parts, work together. We are not going to get too deep into the real particulars of this here. This is just a description to highlight what types of things to consider, and to lay out other, more specific, things to discuss in the future. Next up is rule #6; deployment. Often the overlooked stepchild, it is certainly what controls the rest of the game. Deployment is your starting moves in chess. You can control where the game goes with it. For example, if you overload one side of the table your opponent is forced to react. If your army deep strikes, outflanks, infiltrates, or scouts then you can force your opponent to respond. Again this is more of a description than a tactical discussion, but be familiar with the very real power that proper deployment can have, and check out the other articles that we have on the different ways to manipulate the deployment sphere of game strategy. Take your time and consider how you can deploy in order to achieve the victory conditions or force you opponent to fail to achieve his. There are many ways you can do this, and some of them are particularly irregular and potent. The following is an instance that will give a more real life example of the types of creativity and their relative strength in deployment. In one particularly satisfying game back in 5th edition, I played the puppet master using deployment. The game was kill points and I was playing eldar against my buddy’s nids. He had four squads of genestealers in his list that he declared to be infiltrating. Then I knew his primary deployment tactic would be to infiltrate them within 1st turn charge range of whatever was vulnerable. So, instead of trying to play against this I appeared to play into his hands by placed two of my very delicate transports in very vulnerable positions to that tactic. He, quite predictably, placed all of his genestealers in the best positions to get that 1st turn charge. After reminding him that I had Eldrad in my list and reminding him of his divination power, (friendly game and all that it was) I then proceeded to use that power and move both of those juicy transports one inch back making it impossible for him to get the first turn charge. He was then forced to do one of two things with the stealers, given their new found, and very deliberately, dangerous position. First he could try to find a defensive position during his first turn, or just charge forward hoping to overwhelm my fire and survive; both very dangerous and ultimately game ending moves. In this instance you can see that the game was essentially won simply by manipulating the second sphere of strategy gaming. I determined his deployment tactic, countered it with a bait and switch, and the game was won. Never underestimate how much of an impact that deployment can have. There is more to come on this subject in future posts. Finally we have rule #7; method and game play. This may seem like the most obvious and most important part of the game, if not the whole of the game itself. It generally has the most strategic discussion about it, but I must stress that this sphere has the same amount influence on the game as either of the first two spheres and no more. If you have a poor army and terrible deployment when playing against a good opponent, your chances to win are minimal regardless of how talented a player you are. However, as many veterans know, with good play you can overcome the odds of a match to defeat your opponent (sometimes this is the most satisfying way to win a game). There are two different ways that we will talk about this sphere as we go forward; macro and micro. Macro method and game play refers to strategies for moving around your dudesmen on a table-wide scale, something like an alpha strike; whereas micro refers to the minutia of details involved in every little part of the game like using a squad as bait. Understanding macro and micro gameplay is vital. Adjust your tactics to maximize your army’s potential to increase your chance for victory. Here is just one quick side note on this sphere. It is important to predict how your opponent is planning to execute this sphere as well. Sometimes your opponent won’t be following rule one and their method and game play will be to kill stuff. If you recognize this while they angrily charge forward with some death-star unit, eager to swallow whatever poor and helpless models have the misfortune of being near it, you, being aware of rule one, can take some (or many) different units and throw them near this squad, but in positions that are irrelevant to the game. More concerned with killing things then boring objectives, your opponent may take this bait and chase/kill these units while moving themselves into useless positions and winning you the game. So remember to try and figure out what your opponent plans to do on the table in order to better figure out your own strategy. Thanks again for reading. If you have any comments, criticism, or questions post them below. If you find these useful and are interested to hear more check out some of the other articles and find some of our videos on youtube. If you don’t get the reference to the Art of War by Sun Tzu go buy a copy and read it. It’s good stuff. Welcome all. Son of Adam here from MasterCraft Gaming with an introduction to the Art of War(hammer). Herein you will find the first two rules in the Art of War(hammer). 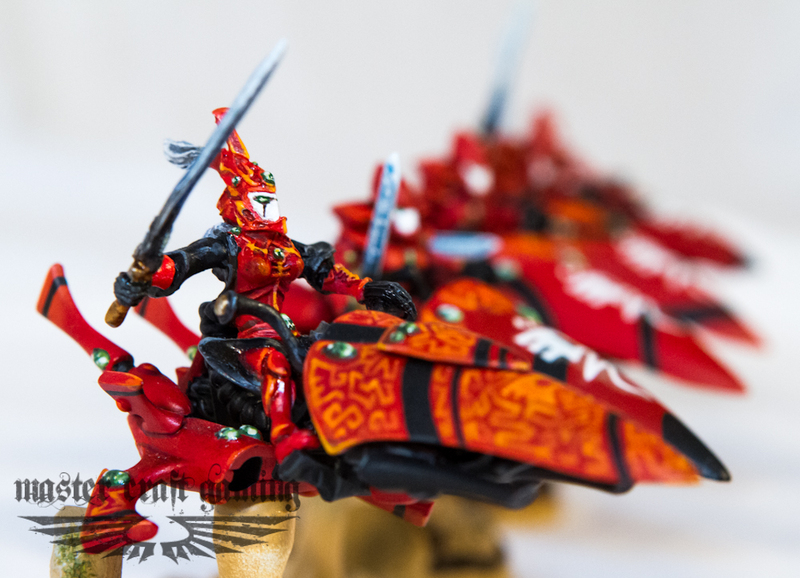 When you explain Warhammer 40k to people who have no idea what it is, what do you tell them? It’s like Call of Duty, if your guys kill more of their guys you win? Or do you say that it’s like checkers, where you win once the other guy doesn’t have any pieces left on the table? I have to respectfully and fundamentally disagree with these common mindsets; Warhammer 40k is more like chess or Stratigo. Have you seen when a newer player simply lines up their dudesmen on the edge of their deployment zone and then charges forward, engaging whatever enemy happens to be across from them? This always brings to my mind Civil War tactics (granting some of the obvious limitations of the time). However, it is more than a little comical when players employ the “charge forward” tactic and then belittle or brag about how poorly or well their units performed. Remember your victory conditions; you won’t be winning without them. I remember two players in a tournament once played a game like this. Both sides lined up their dudesmen evenly and quite attractively across their deployment zones, stopping now and again to admire the site (something I also like to do from time to time). The game began: they charged forward, threw some dice, killed some guys and lost some guys. Then it was that time of the game; turn 5. At this point the more confident player (that is, the one with more dudesmen left on the table) suddenly realized that they were playing a game with actual victory conditions and nonchalantly picked up his tournament packet to discover them. After mulling over a few lines, a sudden look of panic began to appear. The paper dropped an inch revealing his eyes. They scanned the battlefield. Then those signs of panic grew. The other player, equally unconcerned up to this point, and feeling quite defeated, lifted his copy looking for how many points he might have luckily scrapped together with those lesser “pity”, I mean, battle points. However, after glancing at his sheet, sudden delight shined on his face. He looked at the table, then back at the packet, then back to the table. Both players realized that the victory conditions for the game gave the “loosing” player the victory. However, this also means that both players had to have played the game with a total ignorance of those victory conditions from the beginning. 1. Son of Adam said: The game is won by achieving the victory conditions, not by killing the opponent. It’s obvious and simple for sure, but often times the most basic and most obvious things are simultaneously the most important. If they followed these two rules both of those players would have, at least, had the victory conditions in mind and been trying to out-smart one another in order to reach them, rather than simply lining up like redcoats and militia and hoping that theirs were the guys that were left standing. Stone Wall Jackson, a controversial and skilled general (like most 40k generals), reshaped the colonial style tactics by seeking how to best achieve his victory conditions with what he had. His victory condition was the surrender of the North. How did he try to achieve this, through open war? Not a chance, his force was no match for the North. So how did he contribute to the securing of the victory condition? He hid and disrupted the supply lines taking key positions and supplies away from the North in order to slow them down and demoralize them, removing their will to fight. Go for the objective or go for the kill? In the last round of WFN’s GT 2011 I played against a stormlord scarab farm list with my old Saim Hann mechdar list. My opponent was a very nice guy and we had a very boring game, but some good conversation. 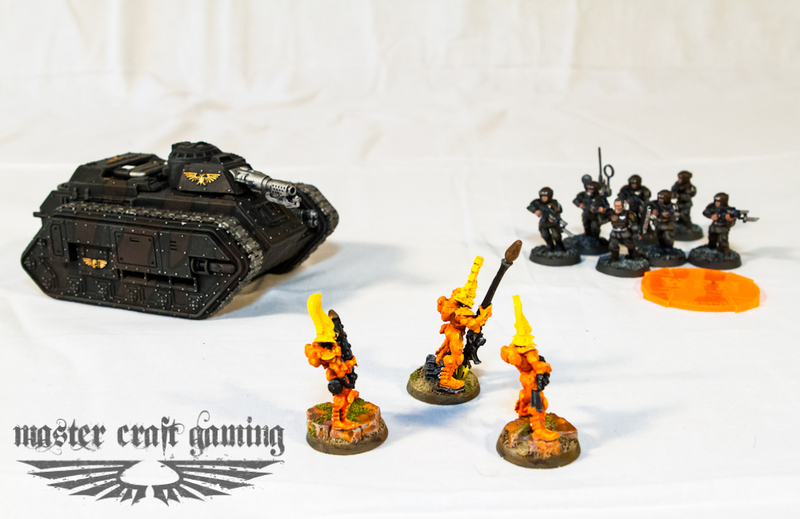 The game was essentially a capture and control mission with two armies that couldn’t really fight a head on battle against each other (I couldn’t win in combat or shooting for very long and he couldn’t catch me, or make it free of harm to my objective). We sat down and took a relaxed posture. After I read the mission victory conditions and his army list, I knew how it would run if as long as he or I didn’t suicide. He had one unit with a veiltek, and I had a falcon with the avenger upgrade. We would sit there in the dark and throw pot shots into each other. The last turn would come and he would veil and try to kill my scoring unit or claim/contest my objective, and then I would tank shock his objective to try and claim/contest it myself. When the bottom of my turn 4 came, I stood up (first time in the game) and moved all of my tanks into position and covered up my objective with jetbikes in order to deny his deepstrike-to-contest move. During his turn 5 he reacted and tried to destroy all my transports. Then he realized what was happening and tried to veil over to my objective. When his shooting didn’t cause me to fall back and left my one falcon alive he realized that the game was lost. My turn 5 I tank shocked the warriors off the objective and contested it, and then prepared my home objective for a turn 6 by blocking the assault with another tank. The game ended with an Eldar victory. My opponent looked at me and said, “Man I really didn’t see that coming.” That surprised me. I thought we were both looking at the same game, but I had rule number one in mind, and he only realized it at the end. For me the game was chess with the next five moves clear, for him it was a game of Call of Duty where he was content to sit and snipe, expecting to end the game with a positive kill death ratio. Next time we will look at the first two rule’s application in three more specific ways. This article may seem a bit reduced or too simple to be regarded, but as we look next into the three spheres of strategic gaming we will see how obvious and frequent rule one and two’s guiding influence is. We will follow those rules and will, on no account, disregard them. Thanks for reading. If you have any comments, questions, or instances where you have seen the civil war re-played in 40k, post below. 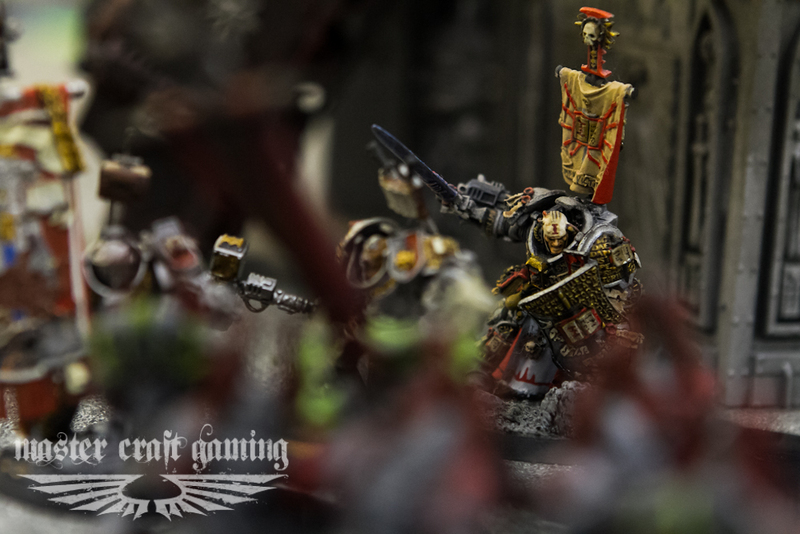 Subscribe to our youtube page to see battle reports and other 40k related videos. Thanks.